THAT IS WHAT THE SKY LOOKED LIKE YESTERDAY. RAY WOULD BE CIRCLING ABOVE NEW YORK FOR A WHILE. FLIGHTS GET SPACED FURTHER APART FOR LANDING IF IT IS WINDY. THAT IS WHAT FLYING TO LA GUARDIA IS ALL ABOUT! DOING CIRCLES OR DELAYED DEPARTURES! HE LANDED ONLY TWENTY MINUTES BEHIND SCHEDULE! IT WAS SO GOOD TO SEE RAY AGAIN! 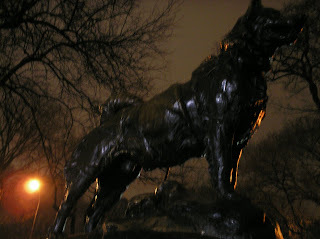 with Balto to keep me company. 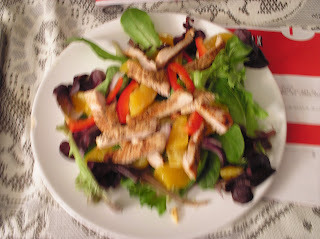 After I came back, I made FIVE-SPICE CHICKEN & ORANGE SALAD for dinner. 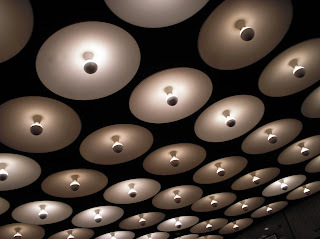 That is a picture of the ceiling in the entrance to the museum. Renee did not have to go to the hospital today. They decided to give her a one day break from for the medication. We had thought we would like to go to the Metropolitan Museum of Art again sometime, but it didn't seem like a wise idea to go on a Saturday, when it would it would be so jam-packed full of people. Renee read up online what other museum we could go to that sounded interesting and she found this one. It wasn't nearly as big, so it also matched her energy level a bit more and it wasn't very far away. It had a very large exhibit of Kara Walker's art. We had seen a small exhibit of her work at the MOMA when we were here two years ago. 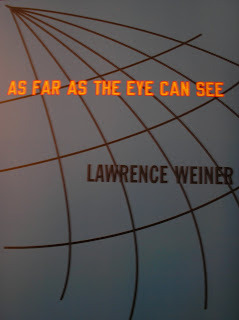 We also really enjoyed the Lawrence Weiner exhibit. 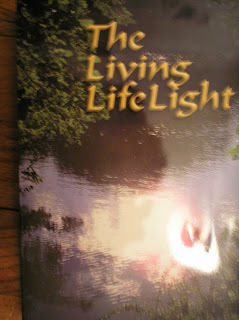 A big thank you to my "Bowling" sisters for the book they sent me for Christmas. If any of the ladies from the bowling league reads this, will you pass it on. I do want to write you a thank you card, but have just not got around to it yet. They sent me teh book you see in the picture. They sure knew what I would need. I might add that most of these readings apply to men just as well. I had finished the novel by Barbara Kingsolver, "The Poisonwood Bible" - a very enjoyable read, very funny and very sad - very well written. 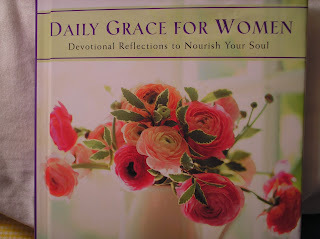 The Daily Grace was my reading material yesterday at the hospital. It was one of those extremely noisy days. There was this one child that was just crying and crying. I was almost ready to pull out my hair. Renee had her I-pod. I want Ray to buy me one for my birthday, but I don't think I can wait that long. Sure could have used one yesterday. After the crying finally subsided, there was a father doing dance therapy with his son, singing very loudly. That sounded better than the crying. It was just hard to take since I had only slept for about 4 hours the night before. Back to the Daily Grace - every single page I read was jam-packed full of stuff that was just so applicable to our situation and the same would go for every situation that you all are going through. God will be there for you. The one I read just now, brought the tears to my eyes again: God in Proportion to Our Needs. "He was there --all that I needed of Him. More than I could ever remember experiencing before. God understood the magnitude of my need and came accordingly -- God coming in proportion to my need. " "Dear God, Great is my need, but even greater are you! You know my situation more intimately than I know it myself, and ask you to intervene on my behalf and give me the grace I need to endure. Thank You for being my ever-present help in this time of need. I put my trust in You. Amen." "You don't need to see the way, if you follow the One who is the Way." - Daily Bread. Jesus is the Way, the ONE and only way to God, to heaven - up, not down. "The brilliance of Christianity is that the fog of today will always be burned by the light of God's tomorrow." We woke up yesterday morning in Florida enshrouded in fog. 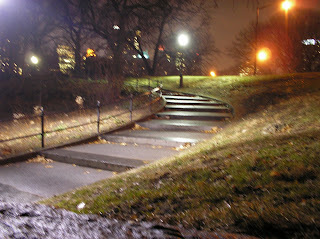 It seemed so symbolic of how we were feeling, of not knowing where we are going, as far as the business is concerned. The Bible reading and the devotional from the Daily Bread was once again just right for us for that day - about Abraham leaving the land of Ur to follow God to the Promised Land. It was cloudy in Florida the whole week we were there, except the day we arrived. Throughout this last month as we have been struggling with these painful business issues, Ray has been reminding himself and me that the sky is still blue, trying to find something positive to keep from feeling completely overwhelmed. As we lifted off the ground into the air, up above the clouds the sky was indeed blue! A more beautiful blue, than I've ever seen, with the tops of the clouds reflecting the glorious sunshine! It was so bright, I asked the lady in the window seat to pull down the shade! As it turned out, God placed me next to a precious sister in the Lord. We had a long conversation about talking to Papa God, our loving, merciful, faithful, heavenly Father - along those lines. The message this morning was again so timely. The above quote was part of the sermon that was based on Acts 16:4-10. "When God says 'NO' - Troas Times." See Ray's blog for the notes. "Better is one day in your Courts than a Thousand Elsewhere." I was so thankful yesterday that we know the God, the God who is the God of comfort. But sometimes I just have to indulge myself in the luxury of a good cry, not a cry of self pity, but just releasing the emotions. It seems to help to clear my vision, to be able to focus again on things that really matter, on God and eternity. Ray and I were doing our Bible and devotional reading together on the phone last night, finding comfort from God's Word during this time of trouble. Those business issues are trying to weigh us down and take our focus away from God. Please pray for wisdom to know what is the right thing to do at this time. Two of Renee's cousins are going to be here next week. Monique is coming on Sunday and Krista is coming on Thursday. It will be a nice break for Renee to have some body else to keep her company, other than her mom and dad. Ray and I want to have a little time of relaxation. We are not sure yet where we should go, or what God wants us to do. I slept better last night, so that should help to make this a better day. Now that Christmas is over I thought maybe more people would have time to write emails. The nice thing about being here for Christmas was that we got quite a bit of mail. It was so nice to know that people had not forgotten about us. You could write to tell me about your struggles or some thing, just as long as it is not some pat answer. It is so noisy in this part of the city. 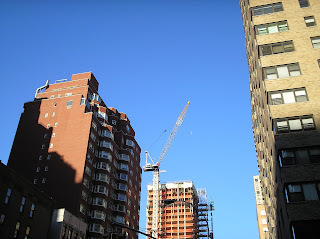 When Renee and I did the walking tour of the West Village we realized how quiet it was there. It gets hot in the apartment, I open the window, but sometimes the traffic noise and all the screaming children in the playground across the street makes me feel like closing the window. Renee is at the hospital now getting blood. It was so noisy there as well. I could hardly take it. I haven't been able to sleep very well and it makes it harder to cope with the noise. I sure wish we didn't have this added stress of the business problems at this time. It just seems so senseless and unnecessary. I must keep looking at things to be grateful and joyful about and there are. Yesterday I was talking to the mother of a 21 year old daughter who has had two transplants using her own cells, because they can't find a match. What are they going to do now that she relapsed again? Makes me so thankful that we have a donor for Renee that is a perfect match. Thanks for praying and let me know if there is anything I can pray about for you. This past Sunday, Ray and I went to Trinity Baptist Church in the morning. Ray has the notes from that message on his blog. The communion service was really good, and we had a dear brother minister to us in prayer after the service. We were once again overwhelmed with the love of God in providing the sacrifice to take the punishment for us. Later we went with Renee to the 6:00 service at the Redeemer Presbyterian Church at Hunter College on 68th street. They were just starting a series of messages on the book of Job. It was the best message I've ever heard on the suffering of Job. I took notes as fast and furiously as I could, but I still not get everything. The following is most of what I managed to get down on paper. Avoid pat answers. Embrace living in spite of suffering. There are two basic responses to suffering. Either frantic moralist (FM)or stoic cynicist (SC). FM sees suffering as a punishment from God, therefore if you live right, your life will go right. SC - God is not competent. Nobody is in charge or if there, He is out to lunch. If there is a God, he doesn't care. Both of these approaches are spiritual dead ends. Does Job fear God for nothing? If you believe in a personal God, it is inconsistent not to believe in a devil. There is another example in the Bible of dialogue between God and Satan. Jesus said to Peter (Luke 22) "Satan demanded to have you." On the one hand God is not the author of suffering, not directly. God did not make disease and death. These are the forces that were unleashed when Adam and Eve sinned. God hated evil or suffering. Yet God is absolutely in control. Satan and God are not equals in this fight. God permits it, but he limits it. God overrules. What was Satan's intent or purpose? - to expose Job as a fraud. God only allows enough suffering to defeat Satan's intent. SC says life is a crap shoot. I'm in control. FM says I will push the buttons. If I do this or that then God won't punish me. God will be happy with me. This person also says, I'm in control. Bible says suffering is a mystery: does not give us a pat answer. But I will continue to serve God even though I don't understand suffering. Most of the time we never find a reason. Maybe 1% of the time we might see a reason. But it is not enough to just resign ourselves to suffering. It's important not to know. Job loved God. Satan says "no - he just loves God for the things God gave him. " Satan is cynical. We need to love God for who he is, not just for what he gives. If you are godly and obedient and get nothing out of it, that's how you know that you really love God. Most people say, "If we could just see why, I could handle it." We should embrace that we don't need to know. "I came naked from my mother's womb, and I will be stripped of everything when I die. The Lord gave me everything I had, and the Lord has taken it all away. Praise the name of the Lord." Job 1:21 We have something Job didn't have. We have Jesus. Jesus was absolutely innocent and he was abandoned by God. God said to him, if you will obey me you will go to hell. He served God for nothing. He got nothing out of it. He did it to die for us - to take punishment for us. Satan said to Adam and Eve, God doesn't love you. We need to know that God loves us - so that when we suffer, that we'll become like him. Blessed be the name of the Lord! I hope I got enough of the notes, so that it conveys the message. If you have any questions or comments feel free to respond in an email. Kara and I were booked to fly to Winnipeg on the 27th, but we decided to stay in New York another day. We were flying with United Air, with a stop at O’Hare. Alayna had gone home on the 26th, but she only got home on the 27th just barely making it on time for work. She missed the connecting flight in Chicago, on account of the flight leaving LGA too late. They put her up at the Hyatt for the night. She thought that had been pretty cool! On the 28th, it was snowing in Chicago and almost half of the flights were cancelled, including the one Kara and I were supposed to be on. We managed to get on the next flight to Winnipeg. That meant that Alayna could not pick us up. My friend Martha, from McGregor and I had made plans to go out for dinner. I called her from the Chicago, to see if she could just leave a bit earlier, to pickus up at the airport. The flight was delayed so many times and then when we got to Winnipeg we realized that our luggage had not arrived. By the time we had filled out the delayed luggage reports, Martha had already waited for quite a while. There would have been no need for her to leave work early! That's how it goes! It was so special to be able to spent time with Martha. We have so much in common, having experienced so many similar things. Martha and Henry were in New York with their son, Justin, at the same time we were there with our daughter, Kara. We had an apartment in the same building as they did 19 years ago, and it is the same building we are in now! Sad to say, their son ended up with a fatal viral infection. The Reimer family gathering was at the Morrow Gospel Church. We had our bags delivered to the church. 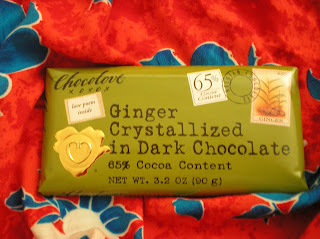 I was happy that I could give my family the Chocolove bars I brought along from New York. It was so special that Meritt could be there. He is Arden and Twylla’s little guy. He just had his first birthday, although he should have only been born in March. He is doing very well. Kara appreciated having me at “home” and I would have loved to stay longer. I had not been home for two months, but I felt that I needed to spend more time with Ray, that I should go back sooner. Ray is going through some very difficult things with his business right now. I am not sorry that we had four days to be together, instead of just two. That's why I came back to New York on the 2nd. I had a good flight with only a slight delay! Only about two hours late leaving O’Hare, but that is better than flying in circles over New York and my luggage arrived only half an hour after I did! I just stayed and waited and finished reading my book. That's why it is a good idea to always have a granola bar with you when you travel! It was after 10:00 by the time I finally got to the apartment and could enjoy the delicious curry dish Renee had made.